It was our privilege by police officer Matt to be invited to give a talk to young scouts in Dorridge about the war in Bosnia & Herzegovina. 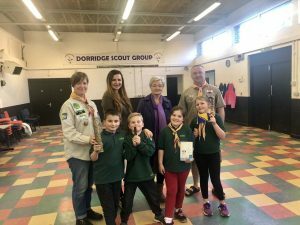 Our Coordinator Miss Kornelija Besara was honoured to talk to young group of 30 children scouts about history, culture, war, hate crime & bullying. Kids were wonderful audience who attentively listened every word and engaged when appropriate. This was very helpful & beneficial to create an awareness for young children about war & to show them that this could happen anywhere & to anyone.